Have You Used Your Foam Roller Today? Foam rollers come in many different styles, shapes and densities. Some have a soft surface, some are very solid, there are half-rolls, short, long, spongy or plastic, and rollers with knobby edges or grooves when you need to reach those deeper structures. I use a foam roller regularly as part of my fitness and workout routine, and I recommend using one for all of my clients. Improved Flexibility by lengthening short/tight muscles, tendons and reducing myofascial adhesions/restrictions. 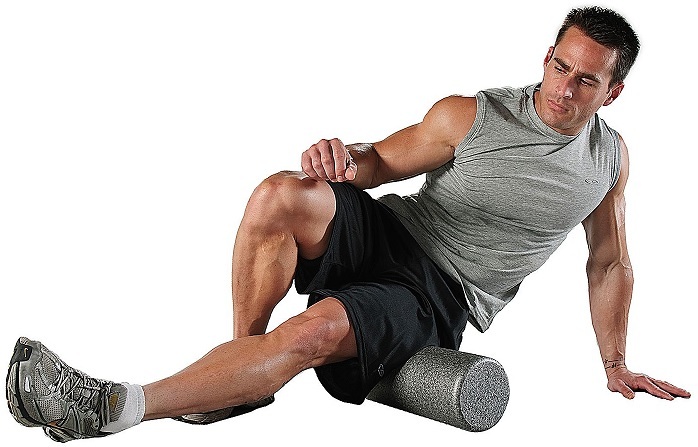 Foam rollers can be used for many stability, balance, and core strengthening exercises as well. They are a very versatile piece of equipment, and the use of one should be incorporated into everybody’s workout program. They aren’t just for gym rats. However, using one is kind of like stretching. Meaning, you aren’t really going to benefit from using a foam roller unless you use it regularly. Many people buy one and it collects dust in their garage. It should be used multiple times a week, and especially after a workout to ease those tight muscles. Most areas on your body can be worked on using a foam roller or trigger point ball. Youtube is an excellent source for videos demonstrating proper use and technique for the areas you feel would need work. Your sports massage therapist can help you as well, so don’t be afraid to ask what they would recommend for you. I regularly demonstrate, and instruct foam roller exercises for my clients to do at home as part of my practice. This entry was posted in Exercise, Sports Massage and tagged corrective exercise, foam roll, foam roll for pain relief, foam roll it band, foam roller, foam rolling for inproved flexibility, increase fexibility foam roller, it band, it syndrome, myofascial release, self-myofascial release, sports massage.